And just as Jesus Himself came “not to be served, but to serve” (Mark 10:45), we want to follow His example in serving others as much as we’re able. There is no shortage of ways to serve our church and community, but we have identified three of our largest needs below. Share the love of Jesus in our growing children’s ministry through caring for our children, teaching gospel-centered lessons, and assisting with games and activities. The lessons and activities will be provided for you. You will serve at one service and can attend the other service. We have volunteers serve anywhere from once every eight weeks to every Sunday. We will work with your serving capacity. 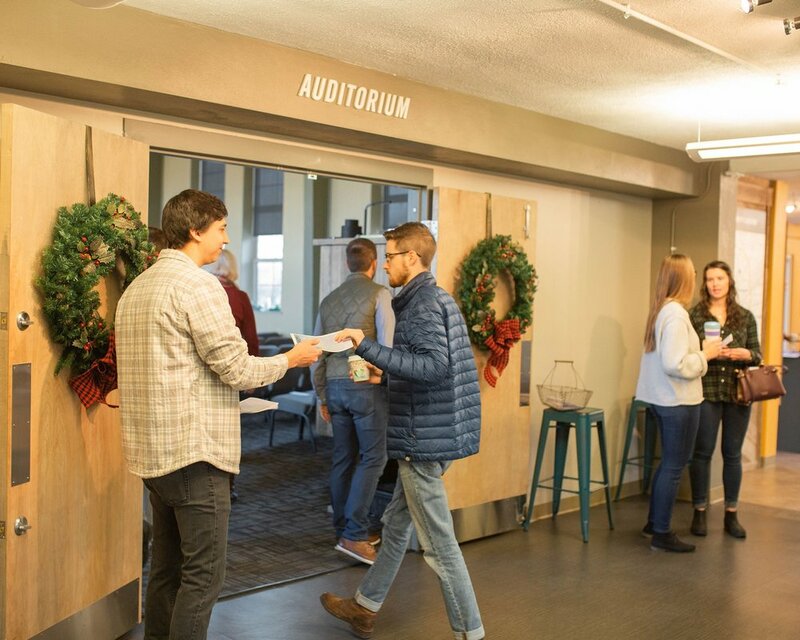 Be a good host to our guests by setting up for the gathering, handing out worship guides, showing someone to an open seat, and leading the way to the restroom or Soma Kids check-in. You will be able to serve and attend the same service. You can sign up to serve one to four Sundays a month. From running a soundboard to clicking through slides on a slideshow, the A/V team takes care of all audio and visual needs throughout the service. No experience is necessary - we’ll teach you how. You can sign up to serve one to four Sundays a month. Our congregations host a few different auditions throughout the year. If you are interested in learning more, please reach out to the leaders listed below.